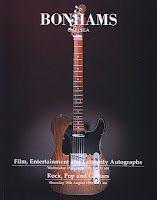 I found this old Bonhams catalogue from 1999 on eBay recently, and it’s got a good selection of costumes and props from a range of eras of Doctor Who. There are some amazing costumes listed in this sale, many of which haven’t seen the light of day since. It would be amazing to know where they are! 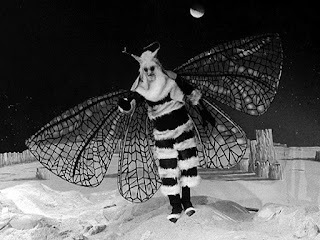 A BEES costume with wings used in an early l960’s episode possibly The Web Planet. A woolen jumper interwoven with leather tassels worn by a female companion in the early 1960’s. A chiffon ladies pillar box hat used in early episodes of the Doctor Who series, believed to have been used in the lost Dalek adventure The Chase. Together with a letter of authenticity on BBC TV stationary from John Herbert Myatt. A large collection of scripts for episodes from Hartnell to McCoy, some signed, episodes include, Shada, Tomb Of The Cybermen, Genesis Of The Daleles, The Daleles Master Plan and the complete four episodes of Planet The Giants. Approx 20. A mounted display of autographs and corresponding pictures of seven actors Who have played the Doctor; Williain Hartnell, Patrick Troughton, Jon Pertwee, Tom Baker, Peter Davidson, Colin Baker and Sylvester McCoy. 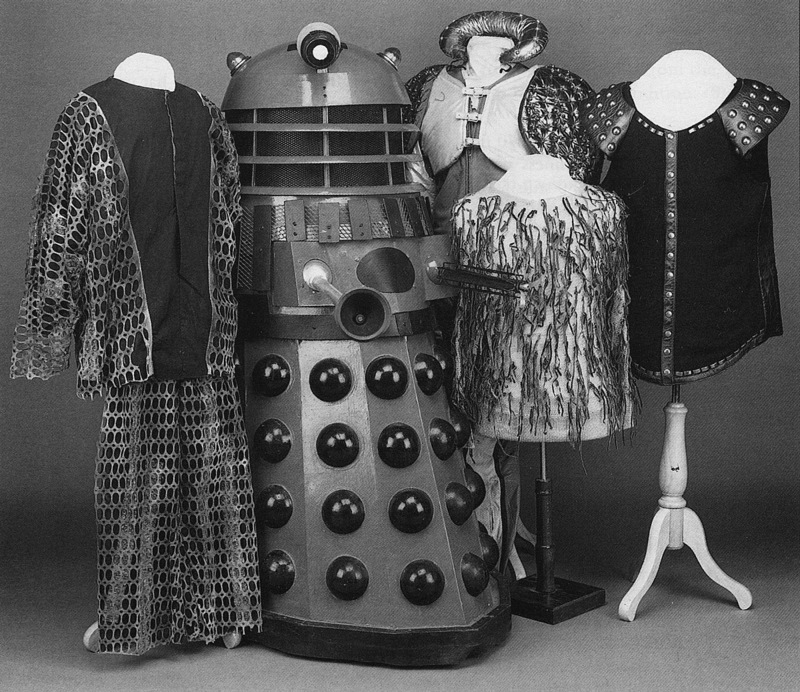 An episode-by-episode guide to the costume combinations worn by the First Doctor.